The hotel offers function rooms which are fully equipped with modern conference technology. 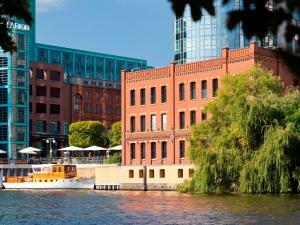 The function rooms open out onto an attractive summer terrace with an idyllic view of the Spree. It is also possible to book entire floors of the villa or indeed even the whole villa itself. You will be guaranteed utmost security, with an electronic entrance system and a separate entrance to the underground car park.